In preparation for The Allied Genetics Conference (TAGC), set to take place in Orlando this July, Genes to Genomes is getting the inside scoop from many of the outstanding keynote speakers in our “Behind the Podium” series. Here, GSA member Maria Sterrett speaks with Jennifer Doudna, the bacterial immunity researcher who is now famous for her contribution to the development of the CRISPR/cas9 system for genome editing. She almost needs no introduction. An esteemed researcher, innovator, and discoverer, Dr. Jennifer Doudna can definitely classify as a “rock star” in today’s modern scientific community. 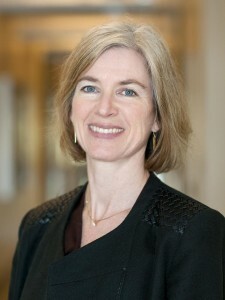 As a professor of Biochemistry and Molecular Biology and an HHMI investigator at the University of California, Berkeley, Doudna’s work has focused on understanding the molecular basis for evolution by studying the function of RNA molecules in cells. “I’ve always sort of been interested in fundamental questions in biology, but I’m also very excited to find ways for those fundamental insights to have real impact in human health and world problems,” Dr. Doudna told me on a recent afternoon. Indeed, it is from these fundamental questions that the newest hit of molecular technology emerged—CRISPR. In 2012, Doudna and collaborators first demonstrated the gene editing power of Cas9 and the bacterial immune system. Since then, the technology has exploded, tested in nearly every model organism, and dubbed the biggest molecular technology since PCR (Ledford, 2015). Yet when I spoke with Dr. Doudna about her relationship with science and the scientific community, her responses resonated with passion, collaboration, and engagement that can only be defined as inspirational and encouraging for not only the current community, but for future research pioneers. Dr. Doudna will be a keynote speaker at The Allied Genetics Conference (TAGC) this summer. 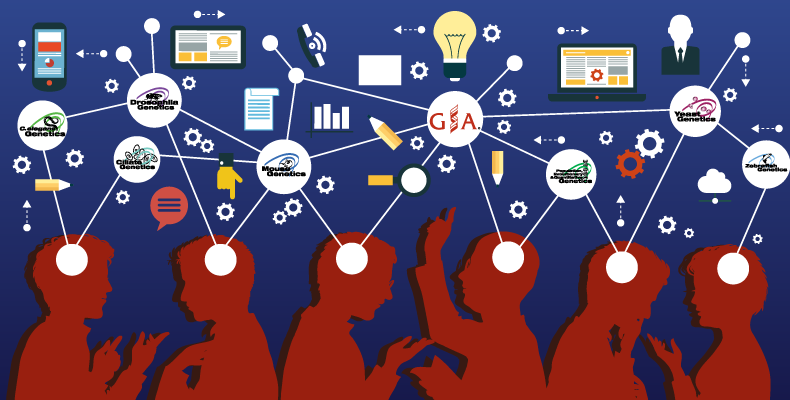 “I think [it will be] a great meeting where geneticists as well as people like me that are not really geneticists, but have interest in the broad topics that will be discussed, come together.” She noted that TAGC will offer an “intersection between genetics and lots of other areas of science” and offer the opportunity for researchers to make connections across traditional field and organism boundaries. 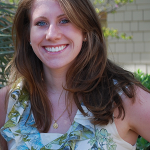 Maria Sterrett is a research associate at Indiana University studying sugar metabolism in Drosophila. From working with C. elegans in her undergraduate career to flies in her current position, Maria has had many experiences with the GSA and she is very much looking forward to the collaborative bonanza that will be TAGC this summer!